TICKETS ON SALE NOW! EARLY BIRD PRICE 30€(+BF) FOR THE FIRST 50 BUYERS, AFTER THAT 40€(+BF). GO TO TIKETTI TO PURCHASE! LIPUT MYYNNISSÄ NYT! EARLY BIRD HINTA 30€(+BF) ENSIMMÄISET 50 LIPPUA, SEN JÄLKEEN 40€(+BF). LIPUT TIKETISTÄ! 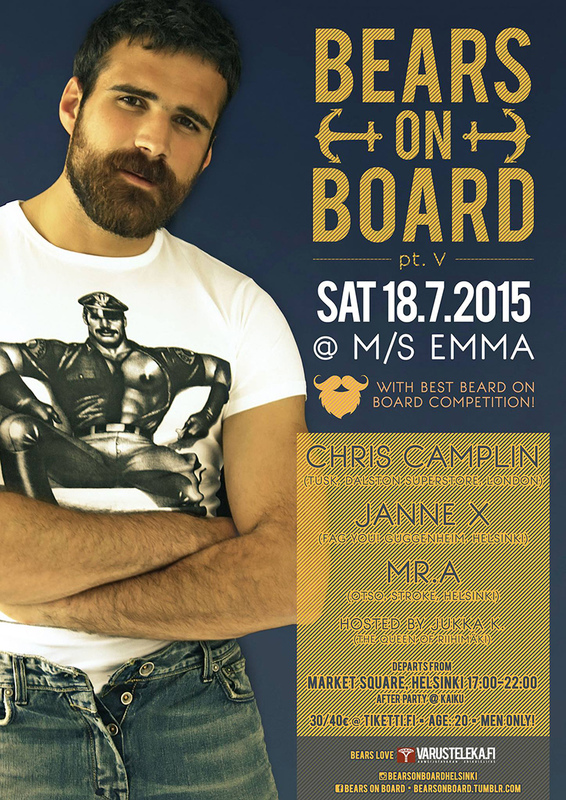 Join our 5th annual gay cruise and dance the night away as we sail across the beautiful Helsinki archipelago. Prepare for a cozy day into night of hugging, chilling, loving, flirting, mingling, cruising, and celebrating your life as a handsome community of men!